Vehicular manslaughter trial Prince Georges County MD Circuit Court | Maryland blood alcohol content defended by Leonard StammVehicular Manslaughter Trial Begins in MD. The trial of a Lanham man accused of killing an 8-month-old boy when his car careered onto a Prince George's County sidewalk and struck the baby's stroller opened yesterday with a young Riverdale woman limping into court and describing how she tried to save the infant from the onrushing vehicle. Troy Stephan Nash, 35, showed no emotion as the woman wept on the stand and slowly recalled the April 12, 1996, accident. Nash was allegedly fleeing other motorists after several crashes when his Mercury Topaz jumped a curb in a residential neighborhood near Bladensburg and slammed into the woman, her 3-year-old son and the stroller carrying the infant. "When I turned up onto the sidewalk, I heard a noise, the noise you hear when cars go very fast," testified Sylvia Lopez, 22, through an interpreter. "The car was coming in our direction. I tried to get the children over to the side. That was the last thing I was able to do. "When the car that was approaching hit me, when I opened my eyes, the child was there on the ground." Rafael Marquez, for whom Lopez was baby-sitting, was thrown from the stroller and died later despite frantic efforts to save him. Luis Rangel, Lopez's son, suffered head fractures and internal injuries. Lopez said she suffered broken legs, a fractured hand and damage to her throat and brain. Nash has been charged with vehicular manslaughter, driving under the influence and several counts of hit-and-run. During opening arguments in the Prince George's County Circuit Court trial yesterday, both the prosecution and the defense said Nash was driving a car with faulty brakes and fleeing from motorists after a string of accidents. Assistant State's Attorney Roland Patterson told the jury that Nash "knowingly drove an unsafe car in an unsafe way" and argued that mechanics had warned Nash days before the accident that the car was unsafe and needed to be repaired. Patterson also said witnesses would testify that Nash deliberately left the scenes of three crashes or near-crashes, drove for some distance with his hood up and ignored a police officer who drew a gun and ordered him to stop. But defense attorney Victor Houlon argued that Nash was trying to escape angry motorists, one of whom threw a brick at his car and broke his passenger side window. He also said that "two young adult males" whose car Nash struck by accident threatened him and that one of them reached for his waistband. "These guys got nasty and they got threatening. . . . He was scared, and he was entitled to be scared," Houlon said. "Young adult males were mad at my client. They tried to get my client. They chased my client for no good reason at all." Houlon blamed a repair shop in Capitol Heights for the fatal accident, saying mechanics there failed to repair Nash's brakes. He said that Nash and his mother took the car to the shop several times but that the mechanics told them nothing was wrong with the brakes -- apparently because repairs would be under warranty. Neither Patterson nor Houlon raised the issue of alcohol before the jury yesterday. Defense attorney Leonard Stamm told reporters tests showed his client had a blood-alcohol content of 0.05 after the accident. 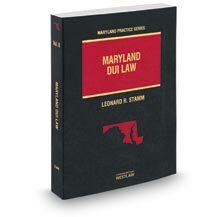 Under Maryland law, individuals with blood-alcohol content of 0.05 or less are presumed not under the influence, and those with a blood-alcohol content of 0.07 or higher can be inferred to be under the influence of alcohol, Stamm said. After Lopez identified several items found at the accident scene -- children's socks, a sneaker, a baby bottle, a diaper bag, a little jacket and a twisted baby stroller -- an eyewitness took the stand and described how Nash's car struck the pedestrians and then proceeded down the street. Susan Simmons, who was driving to pick up her daughter from a dentist's appointment, testified she heard a "squealing, screeching noise" in front of her and saw the speeding car strike Lopez and the children "extremely hard." She said the stroller got caught under the car and was dragged a few hundred feet before the car ran it over and left it behind.